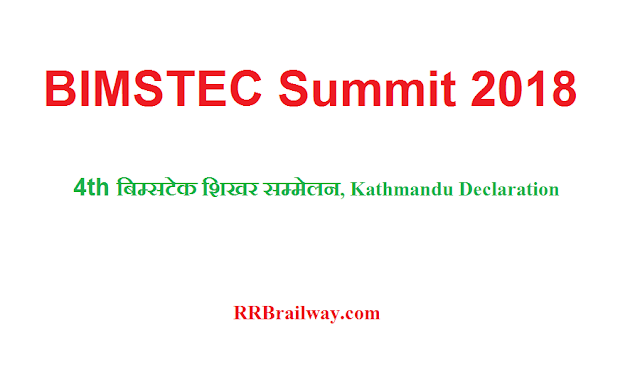 · The fourth BIMSTEC summit was chaired by Nepal Prime Minister KP Sharma Oli. · Prime Minister Narendra Modi led the Indian delegation to this summit. · Addressing the conference, Prime Minister said that India will host International Buddhist Conclave in August 2020 and invited all BIMSTEC member states to attend the event as guest of honour. · He said that India will establish a ‘Center for Bay of Bengal Studies’ at Nalanda University for research on arts, culture, maritime law and other subjects in the Bay of Bengal region. · The next summit is proposed in Sri Lanka.